It is always nice to take a break from a stressful life on the plains by having a relaxing weekend at a local spa hotel. From the hot tub to facials to massages, you’ll appreciate a break from stressful day-to-day life. Head to one of the six best spa hotels in North Dakota for an unforgettable staycation! Langdon’s Moose Creek Lodge’s motto is “relaxation at its finest,” and they live up to the phrase! This one-of-a-kind getaway is perfect for hunting, snowmobiling, hiking in the winter, holidays, honeymoons, family reunions, or just a weekend away. Their rooms include a dining area and fully-equipped kitchenette, spotting scope and binoculars, and satellite TV. The lodge offers a year-round outdoor spa that overlooks the Tongue River. This outdoorsy getaway is the ideal spa relaxation destination. This high-class hotel has not only unique artist-inspired luxury rooms and the groundbreaking HoDo Restaurant on site, but also spa amenities such as a rooftop hot tub, steam shower, and more. In addition to the calming spa activities, other hotel amenities include complimentary wine and cheese hour, artisan pastry basket delivered to the suites every morning, complementary truffle service, concierge, and 24-hour coffee service. Hotel Donaldson’s is Fargo’s first choice for luxury and relaxation. Spirit Lake Casino & Resort truly has something for everyone, with cabins and an RV park, luxury hotel rooms, shopping, marina, and free fish cleaning facilities for hotel and cabin guests, smoke shop, steakhouse, buffet, gaming, entertainment, and, of course, spa-like amenities. The hotel includes an indoor four-story pool area with waterslide, as well as a sauna and exercise room. The resort also has a free shuttle service to Devils Lake! Bismarck’s Staybridge Suites is a favorite among travelers and locals alike… and for good reason! This affordable yet comfortable hotel offers spa-like amenities, a heated indoor pool, whirlpool, and more! Rooms include fully equipped kitchenettes, flat screen TV, stereos, and many more amenities. A little bit of fancy following weeks of roughing it! Northern Plains Inn in Minot is a tried and true hotel hot spot for relaxation. In fact, they won the 2017 TripAdvisor Certificate of Excellence! But more importantly, the hotel features a calming spa and heated indoor pool. 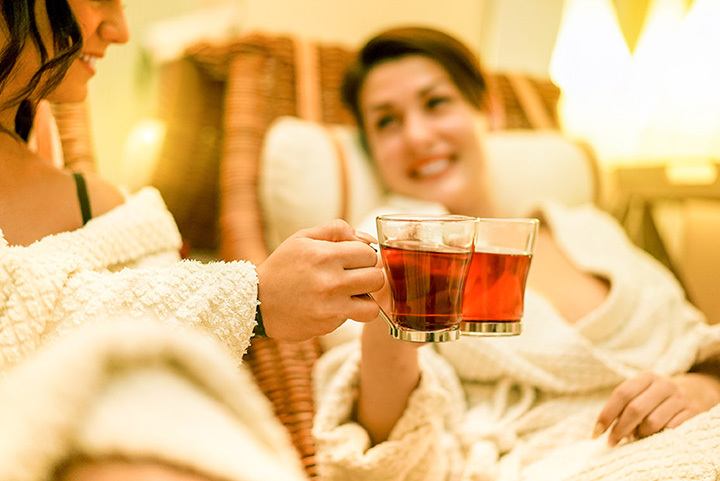 This reasonably priced hotel is perfect for spa travelers with a budget! Located conveniently to scenic Lake Sakakawea, Little Missouri Inn & Suites go above and beyond and provide an unbeatable spa/hotel experience! The rooms feature kitchen equipment, Keurig coffee brewers, 50-inch flat screen TVs, luxury bedding, and oversized showers. The hotel also offers a spa and indoor pool, ideal for letting loose after a long day of sightseeing. You’re never going to want to leave Little Missouri Inn & Suites!